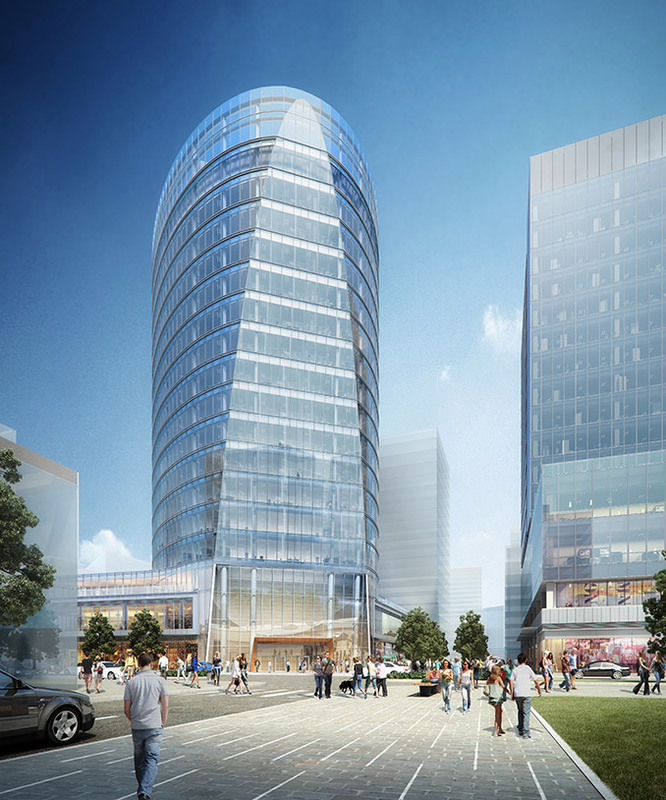 Designed by CBT Architects with landscape design by Copley Wolff Design Group, 121 Seaport’s distinctive design will enhance the area’s architectural landscape, maximize the skyline visible from Seaport Square Green, and reduce solar heat gain when completed in the first quarter of 2018. 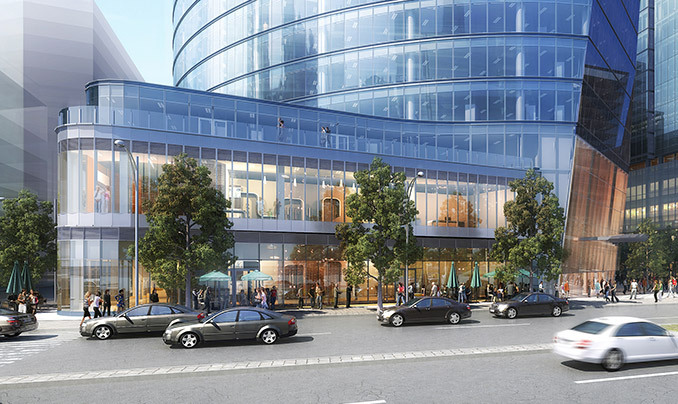 Copley Wolff Design Group’s design of the streetscape integrates with the Seaport Square Master Plan Guidelines. It contains a permeable precast unit paver strip along the curb edges, large tree pits with structural soil, aeration, and concrete paving. 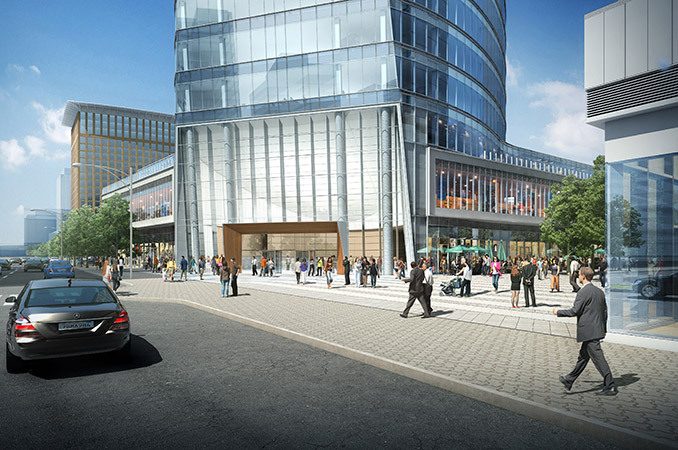 Because the Seaport District is essentially a new neighborhood, the alignment of pedestrian walks and planted corridors is carefully designed between parcels to create a cohesive pedestrian system. 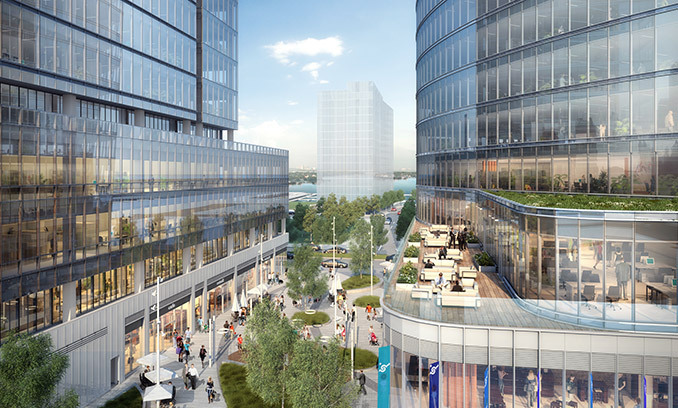 Harbor Way, a 70-foot-wide pedestrian retail corridor located in between 101 and 121 Seaport, will serve as a connector between the northern Seaport Square parks and southern residential parcels. 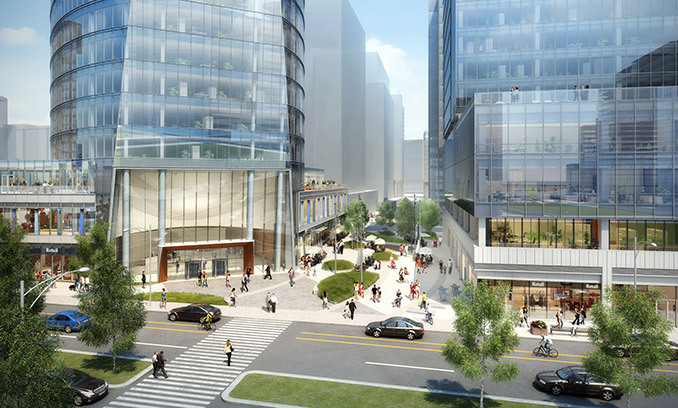 Copley Wolff Design Group’s design features plantings, seating, and generous open spaces for future programming at the adjacent east and west retail markets.